A Literary Odyssey: Weekly Wrap-up for January 6, 2013: End of Vacation, Classics Club Readathon, and more. Weekly Wrap-up for January 6, 2013: End of Vacation, Classics Club Readathon, and more. I woke up early this morning to find that it was snowing outside. We still had snow on the ground from the storm that hit us on the 26th, but I am glad that a new, fresh layer is down. I sincerely love the winter and everything it brings-including snuggling up in hooded sweatshirts with warm fluffy socks. So, I decided to stay nestled in bed for another couple hours to finish My Antonia, which I started last night for The Classics Club Readathon. It was nice to settle in with a warm and comforting read while the cold winter winds blew outside my window. The cats were also grateful to snuggle in for some cuddles. It was a great way to spend the last morning of my two-week break from school. Obviously, I am sad that break is coming to an end. I enjoyed being home with my husband and having time to recharge. I also didn't get everything done that I wanted to, but I guess I have to be okay with that. :) I am excited to get back to school, and the next few weeks will be really eventful. We have a full week this week to get things back in order and finish up content for the first semester. Then, next week is exam week. We'll be reviewing content and testing, so that'll be a fun time. :) After that, we start the new semester! My classes are changing quite a bit second semester. We run on a 6-period schedule. Right now, I have 2 sections of U.S. History, 2 sections of mythology, and 1 section of sophomore English. My sixth hour is also my planning period. Second semester I have 3 sections of U.S. History, 2 sections of sophomore English, and I will be co-teaching theater. It is going to be a very FULL day of teaching, since I do not have a planning period. I'm excited for the new challenges of the theater class, and knowing that there is another teacher in the room with me settles my nerves a bit. :) I'm also excited to have more sections of the other two classes, since I very much enjoy teaching them! I've done some plan/prep work this break, and I think that once things get started, I'll be just fine. I've taught the second half of both the core classes before, so I have materials and resources to turn to. I won't be "starting from scratch" like I did this fall (with 3 classes), so it should run much smoother this semester. I'm hoping this means more time for reading and personal hobbies, since I didn't have much of a personal life this fall. 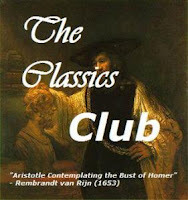 But 2013 is already off to a great start, thanks in part to The Classics Club Readathon that took place yesterday. While I didn't manage to read all day, I did make enough progress that I feel successful. :) I finished the second half of Jane Austen's Northanger Abbey, read all of Tennessee William's Cat on a Hot Tin Roof, and read My Antonia by Willa Cather. I consider that a huge success! Starting 2013 with a string of good books makes me optimistic for this year. I'm not sure what I'm going to grab next. I might stay with a couple slimmer books, but I've been eying a few big titles as well (Anna Karenina for one, Uncle Tom's Cabin is another). If you have recommendations, please suggest away! The top shelf has the Puffin Classics series, then the beginnings of my Penguin Clothbounds (Northanger Abbey goes in that open spot-I had it out since I was reading it). The second shelf contains the remaining clothbounds (including the two new titles I got for Christmas from my mom!). The next two shelves are the Penguin English Library editions that I've started collection. I'm up to 56/100, so I'm making good progress. ;) I'm trying to finish up all the Dickens titles (have 3 to go), and then I'll own all his major works. Anyway, I'll be spending the rest of the day doing more planning and prep work. I finished my unit on The Great Gatsby last night, so today I turn my attention to my U.S. History classes. Have a wonderful Sunday and happy reading! what a great library! Have a great year Allie, with plenty of reading! That book case unleashes a covetous side I didn't think I had! I have 2 of the clothbounds and suddenly want them all. Lovely library; I wish mine look the same. And all books are pretty. The reorganizing was really worth the work. Your shelves look wonderful! Thank you! It was fun to put them all in one spot. What a productive day you had yesterday! Yay for starting the year with awesome books. Good luck with the second semester! Oh, I know about the greed. I see pretty books, and I must have them! Thank you! I know you read a lot too! Those bookshelves... when I saw them on your instagram, I seriously got so jealous! I want. Haha. hahaha. When I see people's IMM or Book Haul or whatever else they call them, I always get jealous. It's a consequence of blogging, I think. Your bookshelves look so lovely! If I didn't have so many of the titles already, I'd seriously want all of the Penguin Clothbounds; their covers are just so nice. I hope you have a good week of classes! I'm so jealous of the beautifulness! LOVE your collection. 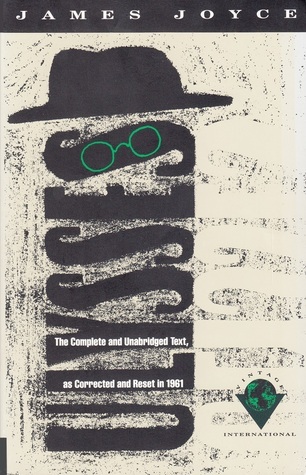 Question: I've been trying to get my hands on the Penguin English Library books, but I can't seem to find any in the States. Do you mind me asking where you bought them? I actually order my PELS through The Book Depository or through the Amazon marketplace. I don't know if they're in stores in the U.S. or not, so that seems to be the only way I can get them. Good luck for the new term, sounds like you are going to be busy. And I am INSANELY jealous of your book collection - my editions of classics are all mismatched. 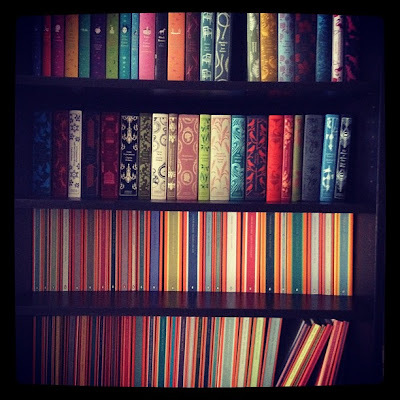 Mismatched books are just as beautiful! And believe me, I have many of those as well! I love that shelf so much! I have very few of any of those editions (though probably own most of the works). Still, I love the Penguin Clothbounds & English Library editions... would like to start my own collection of one or both, someday. Oh, boy - got so distracted by those books that I forgot to say what I originally wanted to, which is that your schedule sounds very busy, but it would be a lot of fun to teach theater, I think! You have successfully rekindled my book collecting desires! That picture is gorgeous. I only have a handful of the clothbounds and this now makes me very sad. Must Have All The Books. Allie, The Classics Club Readathon was so much fun! I loved the low-key relaxed feel of this readathon, and I ended up finishing Cormac McCarthy's All the Pretty Horses. Thanks for all your work! Oh, thank you so much for saying so! I'm glad you had a great time and will join us in July for the next one!